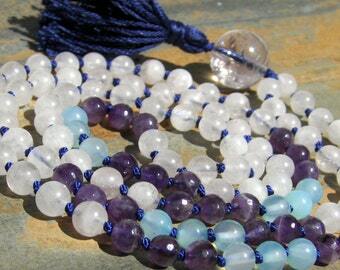 Every mala I string is unique - I never duplicate a piece. 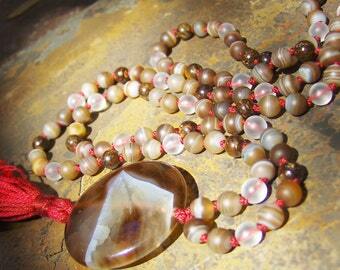 This mala is made from 6mm rounds & as always, it's strung on fine silk & knotted between the beads. I hand tie the cotton tassel as well. Your mala comes with a sweet embroidered pouch for safe keeping. 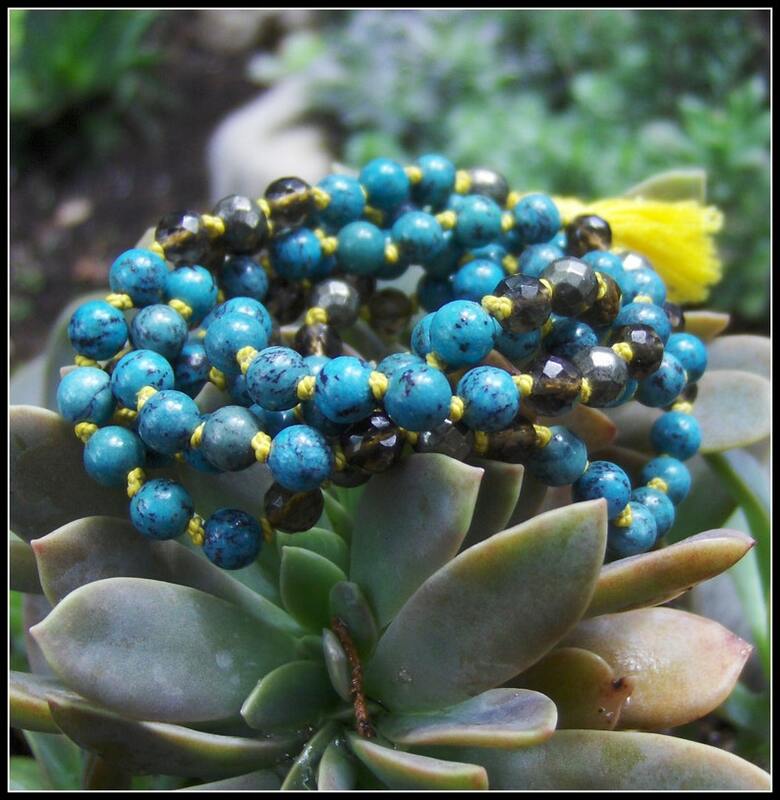 Turquoise - strengthens & aligns all chakras, meridians & subtle bodies. It can bring any and all energies to a higher level. 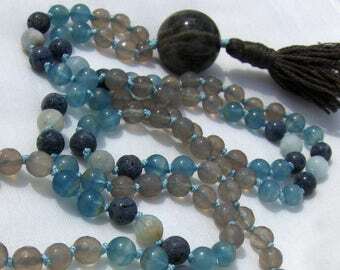 It primarily stimulates the navel, heart & throat chakras, thereby bringing communication skills to emotional issues, to creativity & to intuition while allowing for the application of love in all issues. Pyrite - is a stone of intellect and protection. 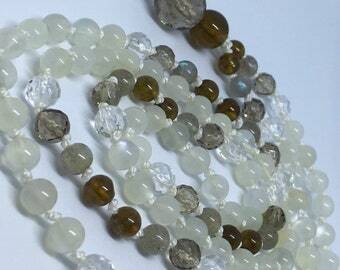 It enhances intelligence, mental stability, logic, analysis, creativity, memory, and psychic development. It can help you tap your own latent mental talents and abilities. 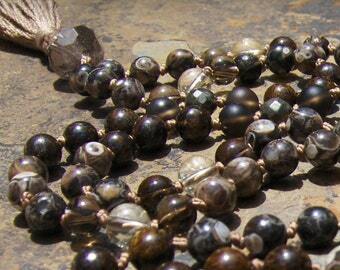 Pyrite is a powerful protection stone, and is very grounding. Pyrite is also known as Fool's Gold and Healer's Gold. Pyrite additionally is a stone that brings energies of good luck or good fortune.